There are lots of neighbourhoods to explore in Barcelona and in each one there is something to do, to visit and to enjoy: iconic buildings, markets, parks, treasures of the old city and so on. Here you will find the sights to see, listed neighbourhood by neighbourhood. Barcelona faces the sea, with nearly five kilometres of beaches from Sant Sebastià to Llevant. They are all equipped with services for bathers and on most of them you will find areas for sport, ranging from table tennis to volleyball. The city has a wide range of commerce around all the city's neighbourhoods.Find out more about them! Getting around on public transport is one of the best waysto discover every corner of Barcelona. This is the city's green lung, a privileged location within easy reach of Barcelona's residents. More than 8,000 hectares of natural space dominated by woodland areas that are characterised by a rich biological diversity. Barcelona's Mediterranean climate is very stable, with hardly any sudden changes. The winters are mild and autumn is the wettest season. The summers are hot, with temperatures rising to as much as 35º, while the proximity of the sea means the atmosphere is humid. To find out what the weather is going to be like, there is one essential website. You can enjoy a large variety of green spaces, parks and gardens in the city, such as Parc de la Ciutadella, Park Güell and Parc del Laberint d’Horta. The city offers hundreds of possibilities for getting round on foot and there is a website where you will find routes ranging in length from 700 metres to 15 kilometres. The Barcelona Sports Institute's website has news and information on sport for those who want to do some and those who prefer to enjoy it from the stands. Barcelona is an open, cosmopolitan city, where social cohesion is a reality. The Catalan capital is also ranked among the best cities in the world for quality of life, safety and equality. It is a city that is easy to live in, a healthy city with a Mediterranean climate, green spaces and locally produced food. Living in Barcelona ensures a good quality of life. 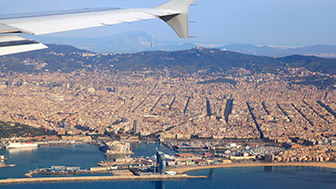 Its mild climate means Barcelona is one of the European cities with the best quality of life. Barcelona has a high quality education system, from nursery schools to universities and higher education. Barcelona's beaches are very safe, the sea is usually calm and the water temperature means you can bathe from spring to autumn. The people in Barcelona are big sports enthusiasts. And here you can do sport either outdoors or in the numerous sports centres spread around the city's neighbourhoods. If you want to get to know Barcelona, you need to visit its neighbourhoods, its streets and get close to its people. The Catalan capital is ranked among the best cities in the world for quality of life, safety and equality. The city has good healthcare and medical services, both public and private. Barcelona has big green spaces, including its urban and hill parks. Creative, good quality and healthy are words that describe the city's cuisine, which is based on the Mediterranean diet. All the information you need on health issues is included in a very useful website that shows you all the city's health centres and the services they offer. There is a website containing all the information on Barcelona's social services. This programme gives you ideas for free sport in Barcelona to keep you healthy. Suggested routes for running or walking round the city while doing some sport. This is a first-class integrated medical service offered by the twenty most reputable and internationally renowned healthcare centres in Barcelona. This is a physical exercise and health programme held n Barcelona's parks and gardens. This is a free service that offers everyone the opportunity to do sport at any time of the day. Barcelona has its own lifestyle that makes it unique around the world. Its Mediterranean character encourages visitors to go to its neighbourhoods and meet its people, to visit its beaches and natural spaces, as well as enjoy their leisure time with a vast range of cultural, culinary and shopping options to choose from. 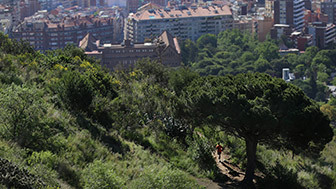 There are numerous green spaces, parks and gardens spread all over the city, and over 300,000 trees in its streets and avenues.Close by are the 8,000 hectares of Parc de Collserola, one of the biggest natural spaces in the world next to a city. Barcelona's beaches, stretching over 4 kilometres, are the most-used leisure spaces in the metropolitan area. They attract nearly nine million visitors a year, thanks to their high safety and hygiene standards and the facilities they offer. The city has good health and medical services, both public and private, as well as a quality education system running from nursery schools to universities and higher studies. What's more, Catalonia's capital is the only major European city with beaches inside its municipal boundaries, while its parks, hills and mountains make it an ideal spot for enjoying the outdoors and walking or cycling round. Barcelona's beaches are very safe, the sea is usually calm and the water temperature means you can bathe from spring to autumn. 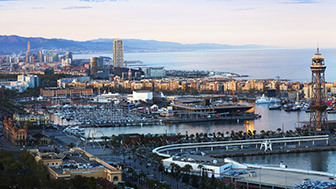 They start from the sailing and fishing neighbourhood of Barceloneta, next to Port Vell, the old port, and run along the entire shore to the Fòrum, at the northernmost tip of the Barcelona coastline. Aside from its beaches, Barcelona has some large green spaces, including urban and hill parks, botanical gardens, mazes and magical locations like Park Güell. The city is ideally situated between sea and mountain, and its leisure options are supplemented by those of the Costa Brava, Figueres and Dalí, the Pyrenees, and PortAventura, as well as many others.